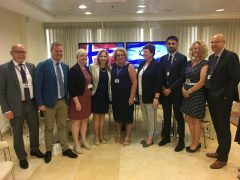 Following the successful delegation visit to Norway last month, today I had the opportunity to welcome friends from Norway to the Knesset. 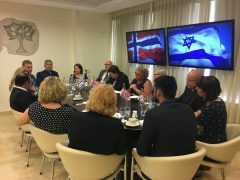 It was my honour to host members of Government from the Christian Democratic Party (KRF) for a meeting with regards to the ongoing relations between Norway and Israel. 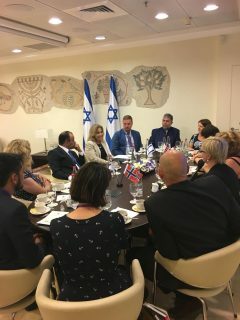 This meeting provided an opportunity to continue our discussions on important topics such as the recent Israeli conflict with Gaza, supporting Israel during these challenging times and the difficulties of religion and state. 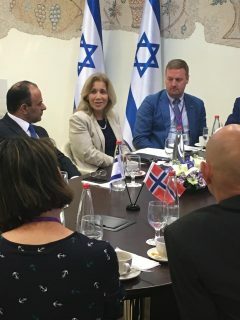 There is still much to discuss but we will continue to work together to ensure our friendship and our joint fight against antisemitism and the BDS.